Shore up your shoe collection with the sassy Jersey wedge sandals by Alfani. Chic crisscrossing straps with exotic prints and a natural cork wedge make for the perfect night out. 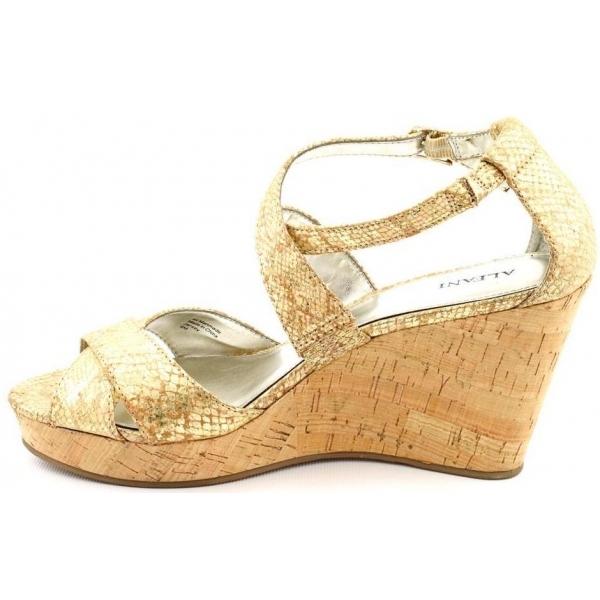 Featuring gold and sandy fabric upper, peep-toe and crisscross ankle strap with side buckle. 8.2cm cork wedge, and 3cm cork platform.